UME Toys x FLABSLAB ‘Geekwok’ Pins! Now Available! Teenage Mutant Ninja… Mushrooms? Leonardo by UME Toys Available Now! The Bearded Villain by Ian Hancox for Bearded Villain UK Charity! UME Toys x Pobber Releasing Pip the UME Cub at STGCC! 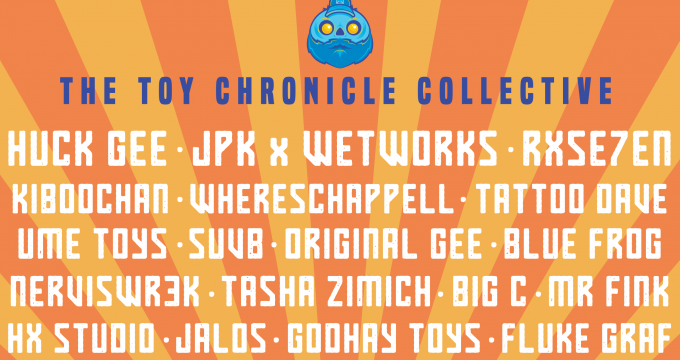 UmeToys teaser for NYCC – Sofia Margherita! UME Toys Team Up With Mold3D to Bring The ‘Designer Toy Creation’ to The Masses! KidWok Heading Our Way from UME Toys! Newt Jnr XL – Tiki by UME Toys! Hey, Is That Glenn Danzig? Nope, it’s Ernest Northgood by UME Toys! 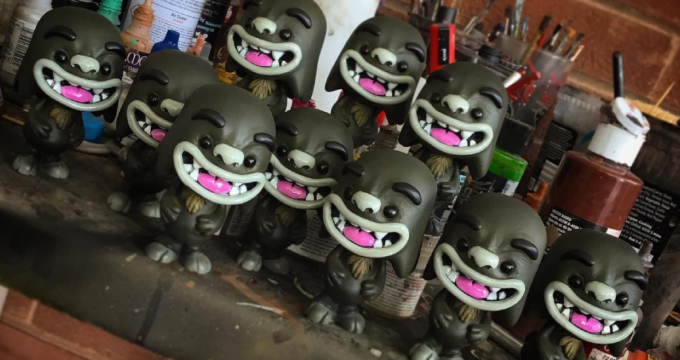 Custom Geekwok Omen by UME Toys! UMEToys x H.U.S.T.L.E – KinTiki Mini Figure! Nostro the Vampyre by UME Toys!